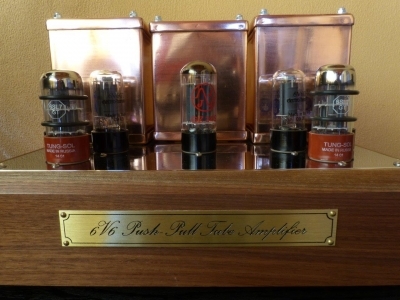 This 6V6 amp was built following the DIY Push-Pull (PP) 6V6 / 6V6GT Tube Amplifier Schematic. Power Supply transformer and Output transformers are handmade in Argentina by NavasBaccino. I'd like to thank Brad S. for the help. The sound is amazing and clear, free of distortion.